Comply with the laws of each country and region, as well as the laws’ spirit. Respect the culture and customs of all countries and regions where we develop business activities and endeavor to respect basic human rights. Consider the environment and contribute to a sustainable society. Maintain high quality, and supply safe and secure products. Evaluate the environmental impact caused by the company’s business activities and services and strive for continuous improvement and prevention of environmental pollution, based on the environmental management system established by the company. Establish and maintain processes to comply with relevant environmental laws and regulations, as well as other requirements to which the company has consented. Promote the development of environmentally friendly manufacturing technologies and products, and strive to protect the environment by using sustainable resources. Establish environmental objectives and goals. Document, enforce, maintain, and review them periodically and revise them when necessary. Disseminate information about the company’s environmental policies to everyone working in and for the company by posting the information internally, conducting environmental training, and through other means. 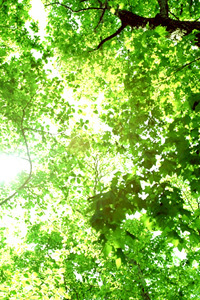 The environmental policies of the company will be posted on the company’s website.